Learn more about the advanced technology and sophisticated engineering in this model before experiencing it in person at Land Rover Princeton near Flemington. If a vehicle is present in your blind spot or quickly approaching, a small warning light will appear in the corresponding side mirror. This feature will handle the steering while you park in a parallel or perpendicular spot. You handle the gas and brake while the vehicle handles everything else. Information from traffic signs is displayed on the center console screen so that you are always aware of important alerts, including changes in the speed limit. Sensors monitor the position of the vehicle in relation to the lanes on both sides and subtly correct the steering and orientation if the vehicle begins to drift to the left or right. A 360-degree parking aid gives you a top-down view of the vehicle to help you navigate in and out of tight sports with ease. Adaptive cruise control monitors the position of the vehicle in front of you and then automatically slows you down and speeds you back up to maintain a safe driving distance. Autonomous emergency braking feature that will instantly slow your vehicle down if you’re approaching the car in front of you too quickly. When you’re taking road trips around Princeton, this luxury crossover makes traveling equally safe and exciting. Discover how much the popular HSE trim has to offer at Land Rover Princeton, where we have a seamless financing process open to all. 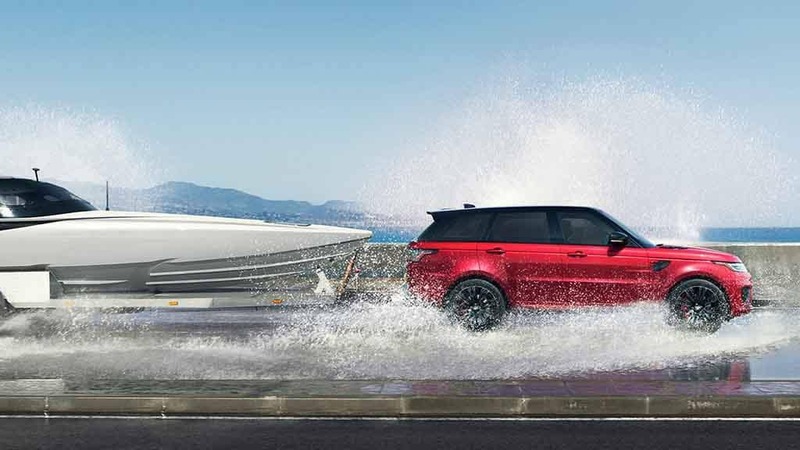 Explore the differences between the Range Rover vs. Range Rover Sport, and contact us if you have any questions.